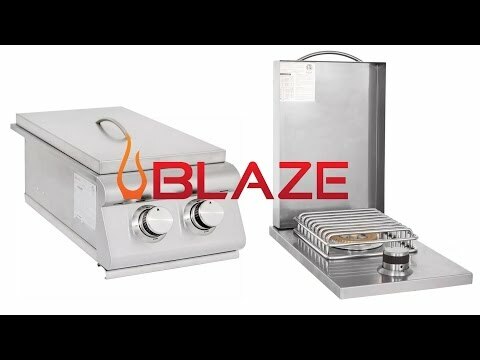 The Blaze Propane Gas Side Burner features a heavy duty 12,000 BTU cast brass burner for enhanced performance and superior heat retention. This precision cut side burner is made of stainless steel and will provide you years of outdoor cooking enjoyment. The stainless steel cover protects the burner when not in use and features a curved handle to match other Blaze products. Ignition is made easy with the push and turn knob that offers a reliable flame with every start. If you are looking to create a gourmet outdoor meal complete with soups or side dishes, a built-in side burner is the ideal addition to your outdoor kitchen. Cut Out Depth 18 1/4"
Can you put a drawer bank or trash pullout under this or does it come down too far to allow enough room? I would like to put the Blaze narrow trash pullout in the cabinet under this burner. Great question! You should be able to install this above drawers or a trash bin. Just be sure to have an access door close enough for you to access your gas lines. Does this burner get hot enough to boil water? Eric, the Blaze Single Side Burner can boil small pots of water for cooking vegetables or smaller side dishes, but if you want to use bigger pots for larger amounts of water for boiling shrimp or crawfish, for example, you would need the power burner. Is the hinged lid on this burner easily removed? I am concerned it would interfere with a large pot. Thanks so much for contacting us. The lid is removable so it will not interfere with your large pots. 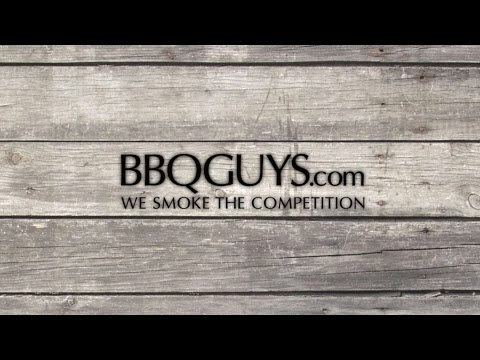 Let us know if we can help you with anything else. 11 1/4" 11 1/4" 10 1/4" 8 3/4"
18 1/4" 17 1/2" 15 1/2" 14 1/4"